How do you know if a carrier is the best fit for your benefits program? How do you know if a carrier is the best health insurance carrier for your benefits program? As an employer, you know that when it comes to employees, one size doesn’t fit all. Some employees are married. Others are single. Some reject assembly-line monotony while others enjoy the certainty of performing the same tasks every single day. Because nobody is exactly the same, employees want flexible work hours, flexible vacation schedules, and flexible coffee breaks. Look to your employees to find the best health insurance carrier for your company. It’s important to offer your employees a choice in how they manage work-life details. The option to choose is even more critical when you’re revamping your benefits program. Instead of choosing the same carrier and the same benefits program year after year, it’s important to find the best health insurance carrier that aligns more closely with your employee’s needs. Workforce diversity is the key to setting up a meaningful benefits program. 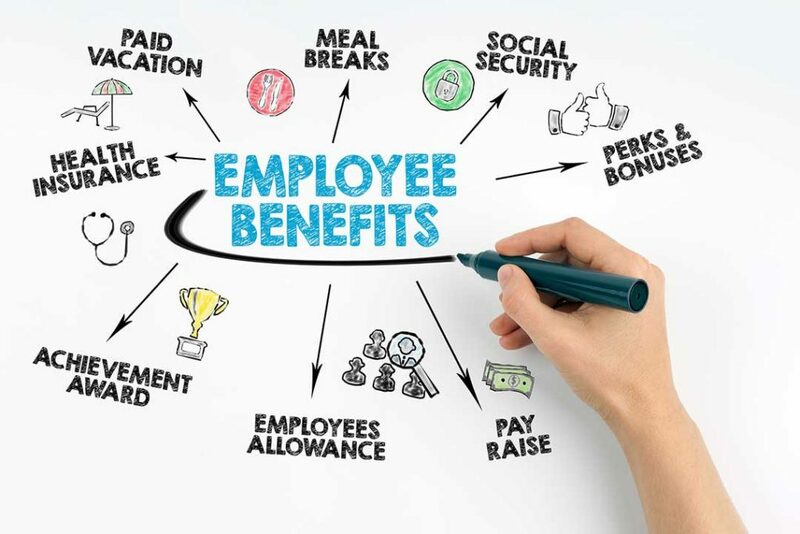 Your employees deserve flexible benefits that cover their needs and some of their wants. First, you must understand your workforce makeup (men, women, young, old, married, single?) Then you can find a carrier with the coverages that meet your employee’s needs. Wellness programs help employees stop smoking, lose weight, and manage diabetes but only if they use them. A SHRM.com article discussed how employers had the most success by establishing non-traditional wellness programs. To implement a sustainable wellness benefits program, choose the best health insurance carrier with flexible wellness benefits. Combine the coverage with healthy snacks, meditation time, and employer-sponsored wellness challenges with incentives. When employees suffer from stress, depression, and other serious emotional conditions, access to treatment helps the employer and the employee. When employees are mentally and emotionally healthy, they’re more productive. Unfortunately, as the fate of ACA becomes more questionable, so does the fate of its mandatory mental and emotional health benefits. It’s important to connect with a carrier that provides these benefits even if they’re no longer mandatory. Employers have the right to refuse to provide employee birth control coverage. That’s not a big deal if you have an all-male, unmarried workforce or employees on the verge of retirement. If you have young females on staff, it’s important to choose a carrier that offers a birth control option and other feminine health benefits. Some carriers offer coverage for $22-per-pill ED drugs and some don’t. If you have a youthful male workforce, whether or not your benefits program provides ED drug coverage will likely be irrelevant. If your male force is aging, it may be a big deal. Employees who’ve been loyal deserve access to employee coverage options when it’s time to retire. The coverage your benefits program can offer may be more economical and more comprehensive than tradition retirement healthcare options. Prescription drugs can be costly. It’s important to include a pharmacy plan as a companion to your employee health plan. Every employee won’t need the coverage, but your carrier should offer it as an option, in case they do. American consumers so routinely overlook their need for life insurance, the marketing group LIMRA mounts an annual Insure Your Love campaign to remind them how important it is. Some people realize they need this important coverage, but they expect their employer’s benefits program to provide it. Employees want options. If you contact us, we’ll help you figure out what your employees want and how you can offer them flexible choices. We’ll tailor a benefits program with the best health insurance carrier for you and your workforce.